Have 'sponsored' search results ever antagonised you? Do you yearn for search results based on keywords only? Will you pay for search if it is non-partisan, does not store your history, nor needs your identity? 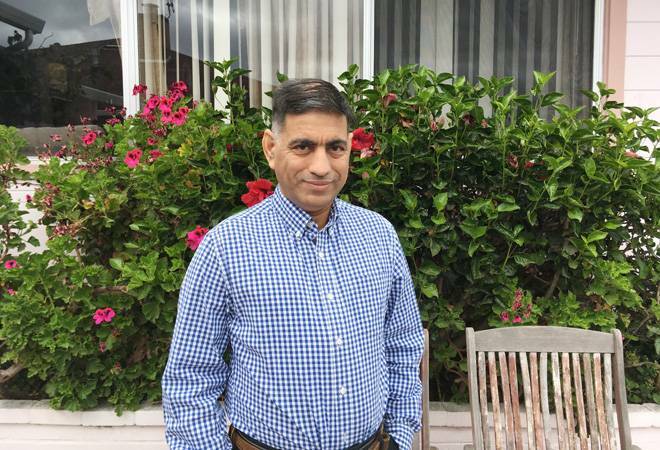 Vinod Sujan of Aarzoo Search believes India and the world have many such Internet users, but there's no search engine that caters to these needs. Over four years earlier, Sujan began work on a blockchain-based search engine that is everything that Google isn't -- non-partisan, unprompted and paid-for. The question is: is there a market for it? Sujan says the 'unbiased' aarzoo.com launches in the first quarter of 2019. Users will have to pay a nominal fee per month for search. The engine will not store any history or data. Sujan believes its biggest USP will be: it will not post sponsored content based on previous search history. Excerpts from an interview with Vinod Sujan, CEO and founder, Aarzoo Search. The history of Aarzoo is that about four and a half years ago we decided to go into developing some technology for peer-to-peer networks that involved security. Because there were lots of weaknesses in the blockchain as we could foresee. One of them was security. What we are looking at now is that search is a very niche area and a very powerful application of blockchain which decentralises it. Today Facebook, Google run on a centralised server type of approach. Blockchain is decentralised. The big niche in search itself is an area of business to business search. Today if anybody anywhere in the world wants to locally search for solutions for their business, you do not have unbiased search. It is all paid search which means they pretty much take you to where they want you to go. You don't have the freedom and independence. With a distributed system, you're absolutely guaranteed to have unfiltered clear results and they will be more secure and your privacy will be ensured because there will be no central server where you information is stored. In fact, we do not need to know who you are in order to provide with what you are looking for. We are actually addressing a very powerful, niche area which will also become powerful and mainstream as people start to find out that businesses are using our search for getting better results than what they get with Google. Google has basically gone rogue in some ways. They have taken over the search and they are basically storing your information and then misusing it in a way that you don't want. There's certainly some benefit to saving all the information that you give them. But there is definitely a case to be made for privacy where inadvertently you pick people's information and you start to bombard them with things that you think they want. It's not what they may want. Are you saying Aarzoo doesn't do any of this? So how will you make money? We're in the B2B space. We're not a free search company. We're a company that businesses will be willing to pay to get that service. It will be a very nominal amount. It could be just $1 a month but it's something that businesses are willing to pay and we do not need sponsorship from people to direct you. We're not trying to sell anybody's stuff. We're just letting you have unfiltered information and we're letting you have tools and dashboard that will allow you to filter it and set up your own filters if you want. It's totally different from me pre-filtering or pre-suggesting this is what you want. We're going only for B2B market and we have very strong research to suggest that is unaddressed. Search by itself is a power app, just like e-mail. The next phase for Aarzoo is we will also take over e-mail and we'll provide the same thing. We want to give you the privacy, security. We want to store your e-mail in a way that you are in full control instead of controlling it on the server. It will be all blockchain based and all distributed. Why India and why now? India has a lot of brain power that is not fully utilised. India completely missed out the Industrial Revolution and the Internet Revolution. Because we are at a very early stage of the blockchain revolution, most probably India has the opportunity to participate. Let's say I have to develop a blockchain application in the US. Most of the work will have to be done in India anyway. If we are going to do that anyway then isn't it better that if the work is done 100 per cent in India. Then the intellectual property is owned by an Indian in India and we export software back to the world. Instead of US designing it, getting the work done in India and then selling it to the rest of the world. So we're trying to create the Google of India. Just like Baidu in China, why can't we have Aarzoo in India. We're coming with very innovative work. We're not trying to do what Google did and replicate it. We also know that the future belongs to distributed systems. Google is not ready for it because Google will cannibalise their own customers if they decide to go into blockchain. It's almost like the electric car market. Ford will want to do it, Toyota wants to do it but in some way they cannibalise the market whereas if you have Tesla obviously they can take a piece of the market and then can grow very fast. So that is the idea. This is same as when Oracle came with relational database and they took the market from IBM. Are you saying you have shifted the entire search engine to blockchain or is this a different search engine? What will happen is that the search will not change by itself. All it will do is, instead of one central server providing the search result based on their crawling and collecting it in one place and then disseminating it, the search in the new world will be a distributed system. Every owner of data will own his own search and they will allow to use that information or they will allow anybody wanting to get that information. Except they will have a level playing field without having to pay for that search. Because they are hosting their own data. It can simultaneously work with people who want to keep data with Google and those who want to keep data with them. What blockchain does is it enables you to have the distributed nature in which you do not need to store the information. Just like directory services in the dotcom world. When you look for a domain it goes through directory services but no one person controls the directory services. The entire system from day one was totally distributed. What is the blockchain piece in this? Is it a new element in Aarzoo.com or what exactly it is? What blockchain is that search is enabled on the blockchain platform. Right now on the blockchain platform there is no capability to set up and search and even if they did it, there is deficiency like scalability but the biggest issue is security. Because crypto has been compromised and we believe the future is a higher level of security, what we call weapons-grade security which is much higher level of security and more dynamic than the current security. Unless somebody solves that problem -- we believe we've solved that problem -- then anybody who writes an application on blockchain, a lot of them will remain on the current systems. But blockchain-based applications have their own inherent advantages and those are publicly known. If somebody wants to take advantage of those features and they want to write an application on blockchain, then they will need Aarzoo software, irrespective of whether we do search, e-mail or any other application. If we are successful then we move to e-mail, then we go from e-mail to some other applications. Healthcare could be another application. So how will that work? Is it only the businesses that register with you that will get it? Any business will be able to search on Aarzoo without having to go through the application. You just go to the browser and type aarzoo.com and you go there and you say I am looking for widgets or I am looking for soap. You will be able to get unfiltered result. Then, if you pay me a dollar I will give you a dashboard that you can download on any of your platforms -- iOS or Android or Windows. Any place you want to go you, will be able to use that app in order to do the dashboard which will help you filter those results according to your choices and it gives you the entire Google engine on your desktop. Because you don't need to give all the data but you will be able to use the search technology that Google uses. We will have the same technology given to you in your hands. Right now that technology resides with Google. And there, with given power and given 5G, you will not need anything else. The other thing with blockchain is that the footprint is extremely small because blocks are all on the net. You don't need to really download an extensive code. The block comes down, you use it, the block goes away. It stays in your RAM. You don't have a lot of code in your handheld device or search device. Even the apps will be very, very thin. So anybody can get on to Aarzoo - whether an individual or business - but they have to pay and you will charge them $1 for the app? Yes, for downloading the app and that is basically a dashboard that allows you to consider your search the way you want and you will get lots of pre-configured widgets. You can say I want to filter it this way, several different ways you will be able to do it and there will be suggested ways. But you will know that unfiltered data is coming to you. None of that stuff is sponsored. And that is going to be only a dollar or you have yet to decide the price? No, no. It will be exactly not more than one dollar and in fact in Indian rupees we will initially price it at one rupee per month for businesses because we want business to use this application. It is not very expensive to write this application. Remember, I have no storage. I don't have to put all data in one place. I don't have to run extensive servers. So my costs are only my software. And if you know the billions of people around the world that will want to use an application and a service like this, even $1 is lot of revenue for a company that just wrote the software. That's exactly what Google did. They just wrote the software but they kept the software to themselves. We're letting you have the software and use it. We're even going to let smart businesses take our software and modify it and customise it according to how they want it. Let's say, Infosys wants to take this software and they want to modify it for themselves, for their customers; they can do that. Again, the licence fee is very small. You won't be storing any data? No. Not even a little... that is where the concern comes. You (the search engine) store the data and then you start to aggregate the data in a way that you (the user) can do whatever you (user) want but I (search engine) will sell you the soap that you (user) are actually not looking for. I will sell you the soap that my sponsor wants you to know about. You will continuously go into the loop and search. You will say I want to do this and you will come back to the same 6, 7 or 8 people, up and down. So you will basically have no history of anybody searching anything, or will you? Nothing. There will be no history. If you want, our dashboard will save your history on your own device and that can be used. First time you search and you say I want to save my own searches, this is possible which you can do on your platform. I will not be responsible for holding that information for you. Of course, the disadvantage is when you move from one platform to other platform, we will have to provide you with a way to transfer your information just like you used to move your telephone device from one to the other. That is because I store data physically on the device. What kind of investment will you be making? May be in the space of Rs 1,000-2,000 crore. And we are still talking to some Indian industries. We obviously have US investors but we want to make sure that the company will be wholly owned by Indians and it will be an Indian investment in true sense. We do not want the investment to come from some Chinese sovereign funds or some Singapore sovereign funds or routed through Mauritius because we wanted it to be pure Indian story and the money that is generated in India, from India, stays in India because I am going to live in India. So this company is going to be headquartered in India. As of now what exactly have you done on the engine so far? We have the security piece of the engine together. The remaining piece of the engine will have to be built in India. It is actually currently being developed in India. We hope to hit the 50 per cent mark by December. If I invest 55 per cent of my entire development cost in India then it becomes an Indian patent. What has been Google's response to this? Haha. I don't think they will like it. It is possible that MSN and Google and Apple will be very interested in buying us out. They are big companies. If they want, they will probably be successful. So that may be one of the exits for the US VCs, but from an Indian point of view, I am not planning to sell any of my stake. So it's possible that either Google or Microsoft or Apple will end up with a minority state in this company. I will not rule it out. Of course, I'll try to fight it but I am a small guy and I never say never. Have any of them approached you to start off initially with them? No, no. They have not approached at all. Who are the current US investors exactly? These are individuals, but they are high networth people and they have experience with this type of stuff before in the internet space. Is the entire Aarzoo technology based on blockchain? The entire technology is based on blockchain and what we call peer-to-peer technology. Just because we developed the blockchain does not make me a big fan of blockchain. Blockchain has many deficiencies. There are four different areas where blockchain was deficient. We've filled the gaps. One of them is security. The other is privacy. What happens in blockchain is that because it has permanence, any time I take information about you and put it on blockchain then you can never erase it. Let's say you are an EU citizen and you say this information was inadvertently or wrongly put in the blockchain system. Then the EU Court says, yes, according to law they must take it off. But then, it's permanent! The way we solved that problem was that if you use our blockchain, it will be masked based on a Court order or if a legal authority says so. We seal the records, which nobody has thought of or applied. And what is the issue with security? Crypto is already compromised. We all know that. Tokens get stolen all the time. We created weapons grade security which is much more dynamic and much higher level than cryptography. They have not changed that algorithm in 10 years. And what are the other two shortcomings? The second one is scalability. For every transaction if there are 100 witnesses then every transaction is 100 transactions. What we have done is that you only need three or four witnesses or any number of witnesses that are what we call critical mass or sufficient. Our algorithm figures out what are the necessary ones and we only do that part. Those three or four are identified based on person using it. For example, a bank says all I need is me and the IRS and the person doing the transaction and the beneficiary party to be stored as four witnesses, then why do I need the entire world to witness that transaction. What that means is, you have to get away from the native nature of the blockchain and allow modified blockchain. The fourth one was anonymity. My blockchain is only for people who want to do legitimate transaction, legitimate business. If you want 10 dollars on the net that nobody should know about then you are not my customer. I'm not facilitating that, because most countries will make it illegal. I'm not dealing in tokens, bitcoins, etc. All those things are not my realm. What I'm trying to do is use blockchain for the purpose it was invented - distributed transactions, for legitimate purpose. The biggest roadblock for RBI is anonymity. If I'm providing that solution, RBI will take my solution any day. Now when do you plug into Google, and first off all, how do you prioritise your search? If somebody searches, on what basis will he get the results? Google has a way of prioritising. Basically our algorithm will also prioritise the same way that Google does, except it will not prioritise based on the sponsor. What they do is they take you to the soap manufacturer that they want to be on top. They do not tell you what is the best soap on this planet. You will also plug into Google at some point of time when they are searching on your platform? Yes we will have an inter-operability agreement with Google. But when your engine searches on Google, it would have already filtered it and given it to you, right! Yes. And what we will say is these are the results provided by the Google and these are our results. Yeah. You click the tab. We give you what all the search engines are returning, basically unfiltered and there is filtered and you can see all of them. But as soon as you search their (Google) search, they will start collecting your data.